A Fort Buchanan Army Reserve Staff Sergeant was sentenced today to 21 months in prison for bulk cash smuggling of $113,050 and theft of government property worth $6,302.69 while serving in Afghanistan. Assistant Attorney General Leslie R. Caldwell of the Justice Department’s Criminal Division, U.S. Attorney Rosa Emilia Rodríguez-Vélez of the District of Puerto Rico, Special Agent in Charge Douglas A. Leff of the FBI’s San Juan, Puerto Rico, Division, Acting Special Agent in Charge James M. Gibbons of the U.S. Immigration and Customs Enforcement-Homeland Security Investigations (ICE-HSI) Chicago Field Office, Special Inspector General for Afghanistan Reconstruction John F. Sopko, Director Frank Robey of the U.S. Army Criminal Investigation Command’s (CID) Major Procurement Fraud Unit and Special Agent in Charge Robert E. Craig Jr. of the Defense Criminal Investigative Service’s (DCIS) Mid-Atlantic Field Office made the announcement. On July 15, Luis Ramon Casellas, 42, of Canóvanas, Puerto Rico, pleaded guilty before U.S. Magistrate Judge Camille L. Velez-Rive of the District of Puerto Rico to three counts of bulk cash smuggling and one count of theft of government property. In addition to imposing the prison term, U.S. District Judge Carmen Consuelo Cerezo of the District of Puerto Rico ordered Casellas to forfeit $113,050. Casellas was an Army Reservist Staff Sergeant on active status based at Fort Buchanan in Guaynabo, Puerto Rico. In April 2013, Casellas was deployed by the Army to Kandahar Airfield in Afghanistan. As part of his duties, Casellas was responsible for helping to break down smaller bases in preparation for the withdrawal of U.S. military forces from Afghanistan. These duties included retrieving U.S. government property for future use and selling as scrap to Afghan contractors. Between June 17 and Aug. 9, 2013, Casellas was the leader of the three-person Army team that went to a Forward Operating Base (FOB) in Afghanistan to help break down that base. 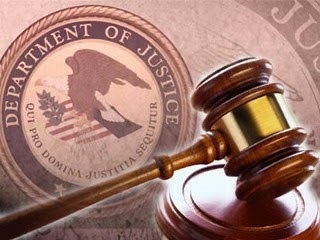 In connection with his guilty plea, Casellas admitted that while this team was at the FOB, he stole tools and equipment, including laptops, belonging to the U.S. Department of Defense. Casellas also admitted that, in July 2013, he sent approximately eight boxes from the FOB through the U.S. Postal Service addressed to his wife in Puerto Rico, and that the boxes contained some of the government property and undeclared U.S. currency totaling $50,500. In addition, in August 2013, Casellas sent two boxes from Kandahar Airfield through UPS, again addressed to his wife in Puerto Rico, that were marked as “gifts for family.” In connection with his plea, Casellas admitted that, although he declared that the items inside the boxes were valued at $700 and $400, respectively, one box contained some of the stolen government property as well as $41,750 in U.S. currency, and the other box contained $20,800 in U.S. currency. These boxes were intercepted by U.S. Customs in Louisville, Kentucky. This case was investigated by the Special Inspector General for Afghanistan Reconstruction, the FBI, ICE-HSI, Army CID and DCIS, with assistance from the Defense Contract Audit Agency. This case was prosecuted by Trial Attorney Daniel P. Butler of the Criminal Division’s Fraud Section and Assistant U.S. Attorneys Julia M. Meconiates and Myriam Fernandez of the District of Puerto Rico.